Read the text on Albert Einstein and think of a word that best fits each gap ! Albert Einstein is of the best -known scientists of the 20th . Yet he was not particularly good student. At school in Munich , Einstein got fairly good grades in nearly subjects and was excellent in mathematics and physics. However, he disliked doing he was told. He didn’t like exams and did he like attending classes, so he left school early. failing the entrance exam , Einstein was eventually admitted to Swiss Federal Institute of Technology in 1896. Although he did well, he was to get a job at a university after graduation, mainly because he was thought to be very lazy. Instead, he worked in a secondary school, he taught maths and physics, both of which he was good . 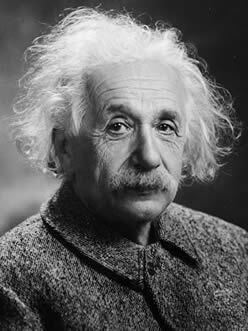 About two years , Einstein received a job as a clerk in Bern. Shortly afterwards his special theory of relativity published - one of the greatest scientific achievements in the history mankind.